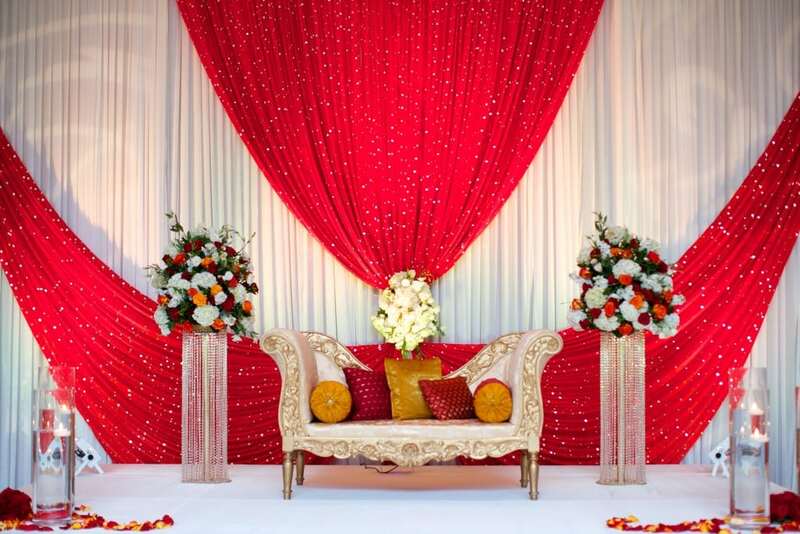 Linens play a huge role in the overall décor of a wedding reception, and unfortunately for many brides they are an afterthought. 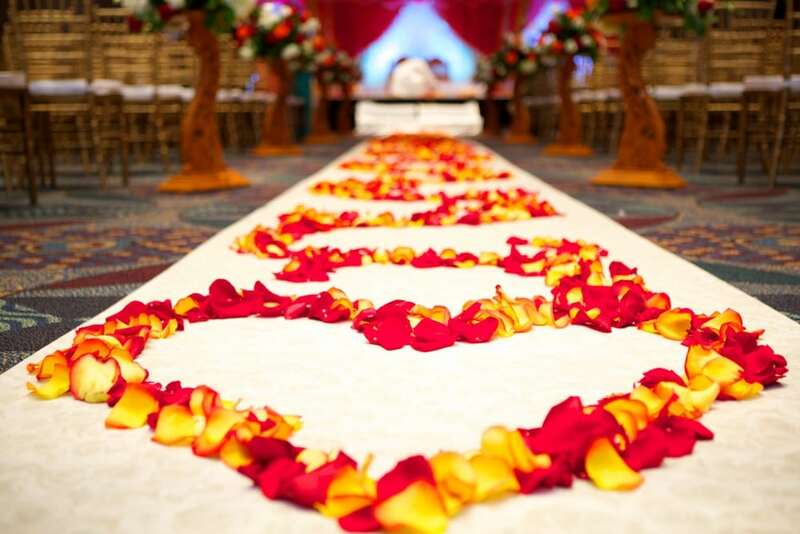 Many venues, particularly hotels and conference centers, provide linens as part of a bride’s package. However, many times the only choices are white, ivory, or black. And more often than not the linens don’t even go all the way to the floor – yuck! How terrible would it be to put so much planning into designing a fabulous reception with a beautiful venue, gorgeous centerpieces, and amazing lighting – only to have the overall décor ruined by the linens?! This was exactly the case with Sonia’s wedding. During our final meeting with the venue we were going over table counts and floorplans. 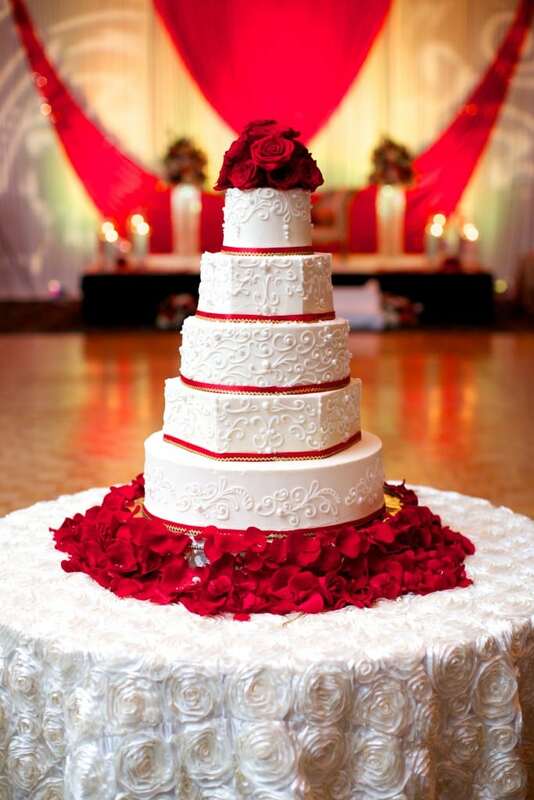 Sonia had a beautiful color scheme planned, with elaborate décor and a beautiful cake. 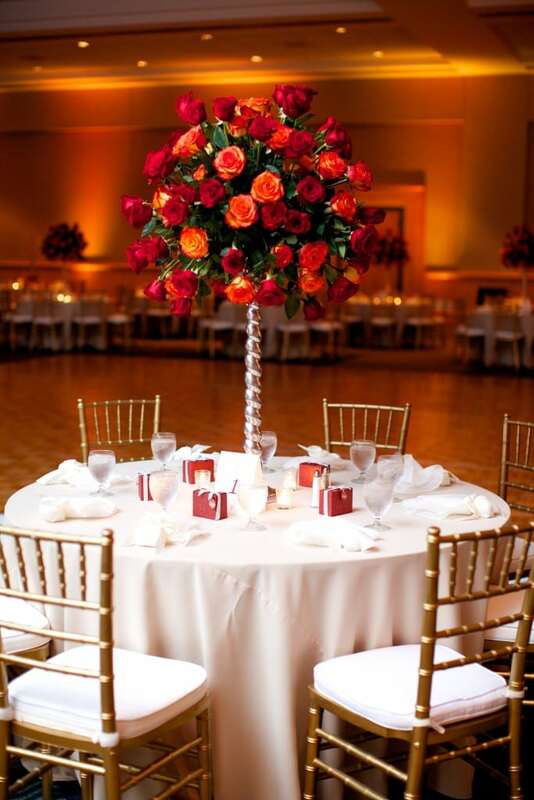 She planned to go with the linens provided by the venue because they said they were included. It didn’t even cross her mind that they might not touch the floor. So we requested to see a sample, and they definitely weren’t what Sonia had in mind. 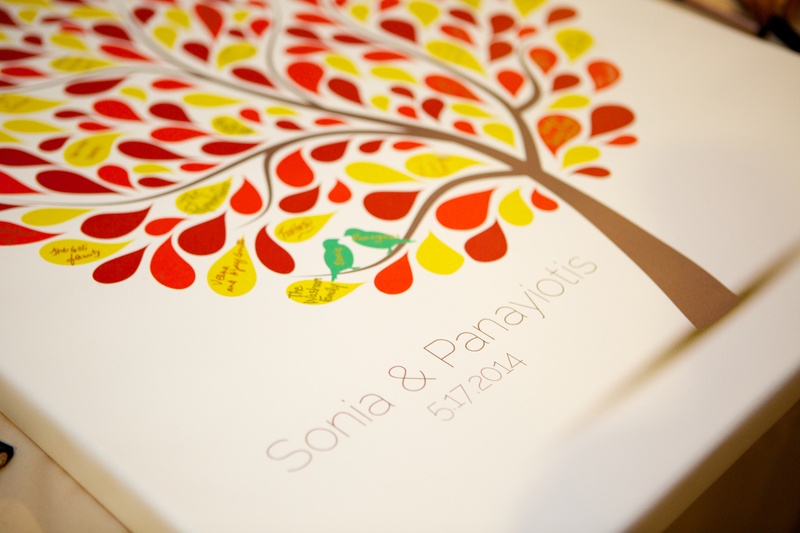 Don’t get me wrong – the venue was awesome and provided everything that Sonia needed and wanted. But we needed to call in the pros to handle Sonia’s linens. Luckily, less than a month out, it wasn’t too late to call Décor to Adore. Sonia had a beautiful color scheme of ivories, reds, champagne, and gold. Décor to Adore had the perfect selection of linens to compliment Sonia’s color scheme. 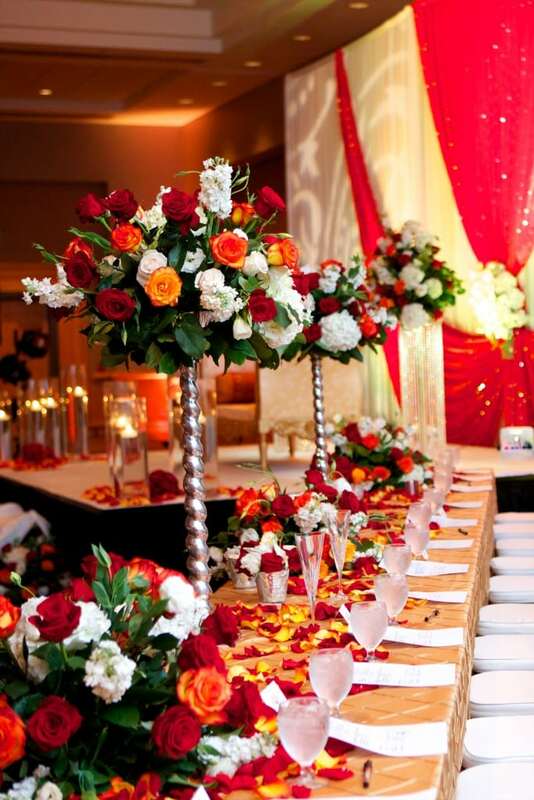 For her 34 guest tables, Sonia selected a beige poly cotton which complimented her centerpieces beautifully. For her hi boys she selected a white poly cotton with a gold satin sash. I love how the gold sash gave her hi-boys a pop of shine. She wanted her head table and cake table to really stand out, so she selected a gold pintuck for her head table and an ivory rosey linen for her cake table. I love how she selected more rich linens for these focal points at her reception. Sonia had a beautiful reception with fabulous lighting, beautiful flowers and props, and a gorgeous cake and the linens completely set the stage for this beautiful design! Decor To Adore, Guest Posts, Real Weddings. permalink.